You are overweight or out of shape, especially if you have a neck circumference of more than 17 inches (43cm). You drink alcohol, smoke, take sedatives or anti-depressants. You have nasal and sinus problems. Exercise and lose weight. This will reduce the fatty tissue at the back of the throat which should decrease or even stop you snoring. Ideally avoid alcohol and smoking especially before bedtime because they relax the muscles in your throat which interferes with your breathing. You should also talk to your doctor about any prescription medication you are taking as some encourage a deeper level of sleep which can make snoring worse. Try ensuring your nasal passages are clear before you go to bed as any blocked airways create a vacuum in the throat leading to snoring. Try to sleep on your side as sleeping on your back causes the weight of your neck to collapse on your airway. If you do these exercises for 30 minutes a day they can be an effective way to reduce your snoring and altogether stop it. Repeatedly pronouncing certain vowel sounds and curling the tongue in specific ways can strengthen muscles in the upper respiratory tract and thereby reduce snoring. Start slowly and gradually increase the number of sets you do. With mouth open, contract the muscle at the back of your throat repeatedly for 30 seconds. Tip: Look in the mirror to see the uvula ("the hanging ball") move up and down. If none of these options work for you then you can look at our comparison table of anti snoring devices to see which might work best for you. 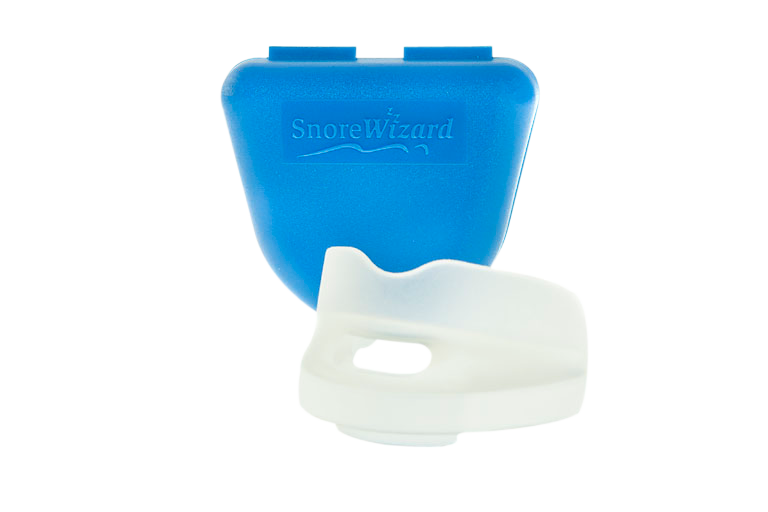 SnoreWizard sell a range of anti snoring products including the award winning SnoreWizard Mouthpiece and the Good night Pillow.